How could you resist this cute and colourful chappie? 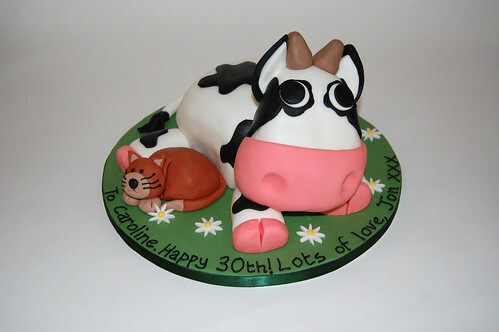 The Cow Cake – from £80. The most fantastic birthday cake i have ever had!! Thank you so much Mandy.